During my Chinese New Year shopping trip this year, I stopped by a manicure store in Pavilion which distributed O.P.I. nail polish. I never really thought much about spending so much on only one bottle of nail polish (one 15ml bottle of normal O.P.I. nail lacquer costs around RM59.90), but I just went in to have a look anyway. After more than 2 months, I finally took out the color, ‘You’re such a BudaPest’ from the EURO Centrale collection. The color is sort of a pastel purple as shown in the picture above. 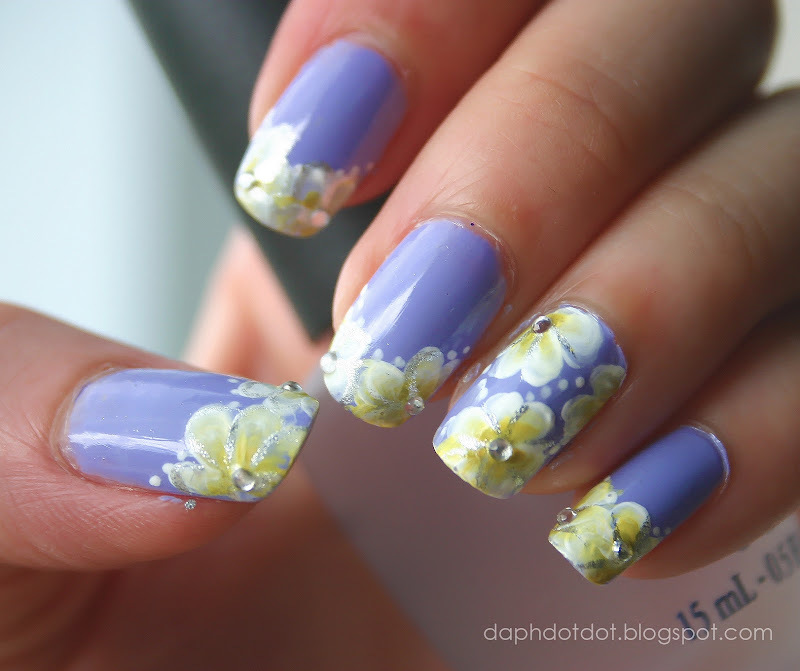 I seldom settle with plain nails so I decided to practice the one-stroke nail art technique and created the white-yellow petals. Still trying really hard to get a hand of the technique. Turned out to look quite vintagey, hence the name.